The flavors of your favorite appetizer come to top a burger in this flavor packed variation. Start with No Name Brand Steakhouse Seasoned Beef Burgers for the perfect base. Top with spicy grilled jalapenos, cream cheese and tangy salsa for this quick and delicious summer treat. Prepare the burgers over a Charcoal or Gas grill according to package instructions. Grill the No Name Brand Steakhouse Seasoned Burgers and the jalapenos. 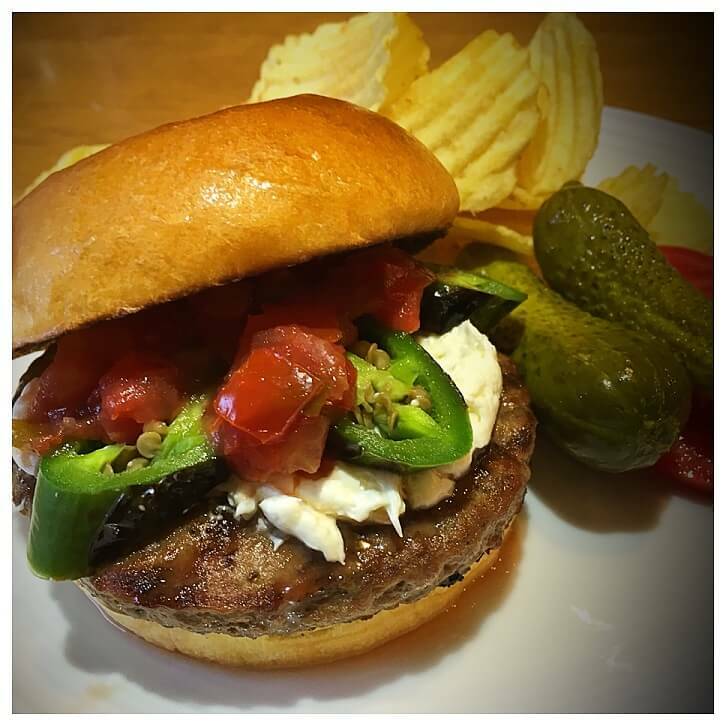 Top the burgers with sliced, grilled jalapenos, cream cheese, salsa and crushed tortilla chips.